Southeast Bottling & Beverage has state of the art facilities ready and able to handle all of your bottling needs. Our 75,000 square foot plant is equipped to bottle beverages for anyone from entrepreneurs to large drink manufacturers. 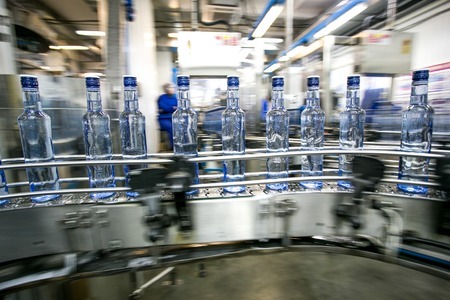 Beverage manufacturers often have to get in line and wait their turn every time they need beverage bottling because many contract bottling companies can only handle one product at a time. At Southeast Bottling & Beverage, we have 5 liquid filling rooms to keep your production schedules flowing smoothly and efficiently. Our facility also includes hundreds of square feet dedicated to shipping, receiving and distribution. We are a contract bottler that specializes in plastic bottles ranging in size from 2 ounces to 96 ounces. Our facilities are not designed for glass, can or pouch containers, and we do not bottle carbonated drinks, dairy or alcoholic beverages. We have also produced introductory videos of our shot line, waterline and hi-speed rotary bottle filling and product labeling for those who would like more insight into our processes. Southeast Bottling & Beverage has more certifications and industry affiliations than many contract bottling companies located in New Jersey, New York, Georgia, Texas, Alabama and other areas in the eastern US. Our facility is Organic Certified, Kosher Certified, Halal Certified and HEPA Filtration Certified. We are also proud to be an FDA Registered Food/Beverage Facility and are involved members of trade organizations such as the Current Good Manufacturing Practice (cGMP), National Products Association (NPA) and NSF International. Our team is committed to providing our customers with safe quality services at fair pricing, so please contact one of our courteous and professional experts today to learn more about our facilities and services or to request a quote.